The Mathematics and Multimedia Blog Carnival is now accepting articles for the next issue. Although any math article might be accepted, below are the Revised Criteria for Blog Carnival Selection. This will be characteristics of the articles that will be prioritized. Articles with no links are done, but not yet posted. Use of Google Docs in Teaching Mathematics. Mathematics and Multimedia Blog Carnival is still in its infancy, so please help spread the word about it. I would appreciate if bloggers who has benefitted from Mathematics and Multimedia, especially those whose article was accepted in the previous carnival, would announce it in their blogs. To submit article the Math and Multimedia Blog Carnival, click here. The Math Teachers at Play Carnival and Carnival of Mathematics are also accepting math articles for their carnivals. Please do not duplicate submissions. Erlina Ronda of Keeping Mathematics Simple will host the Mathematics and Multimedia blog carnival special edition on December 2010. Her topic will be on Teaching Algebra Concepts. You can email her to submit in advance. If we want to find the midpoint of segment CD in Figure 1, where the coordinates of points C and D are and , it is clear that the length of CD is units. To determine the midpoint of CD, we want to get the coordinates of the point which is units away from both points C and D. Hence, we have to divide by , and add the result to or subtract the result from . Summarizing, the expression that would describe the value of the y-coordinate of the midpoint would be or . This means that the midpoint of CD is . If we want to get the midpoint of AB, using the same reasoning above, the expression that would describe the x-coordinate of the midpoint would be or . This means that the midpoint of AB is . 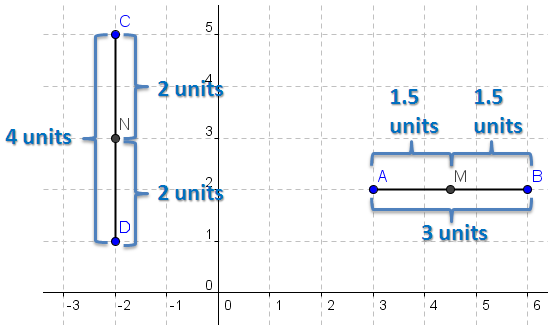 Figure 1 – Horizontal line AB and vertical line CD in the coordinate plane. 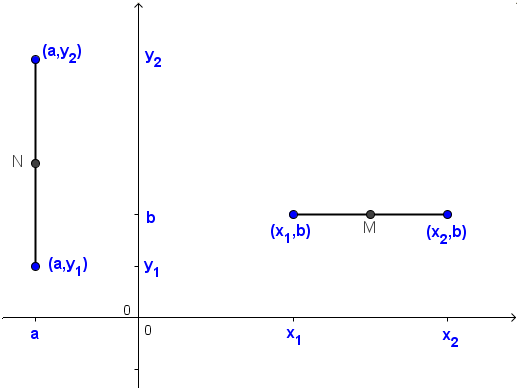 Figure 2 – Generalized coordinates of a vertical and a horizontal line. Simplifying, both the expressions above result to . Similarly, for a horizontal segment with endpoints having coordinates and can be computed by the expression . The preceding derivations are only valid for vertical and horizontal segments. In Figure 3, segment AB is neither horizontal nor vertical. To investigate the midpoint of AB, we draw vertical segment PQ coinciding with the y-axis with endpoints having y-coordinates the same as those of the y-coordinates of segment AB (see Figure 3). We also draw a horizontal line RS coinciding the x-axis with endpoints having x-coordinates the same as those of the x-coordinates of segment AB. Looking at Figure 3, it is clear that the coordinates of the midpoint of the PQ is . 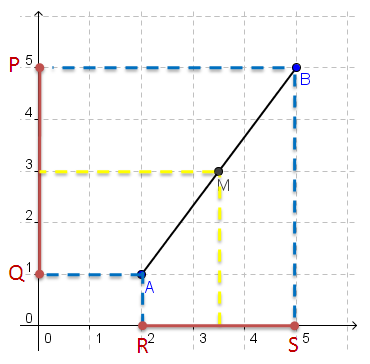 “If the midpoint of PQ is and the midpoint of RS is , is the midpoint of AB, ? 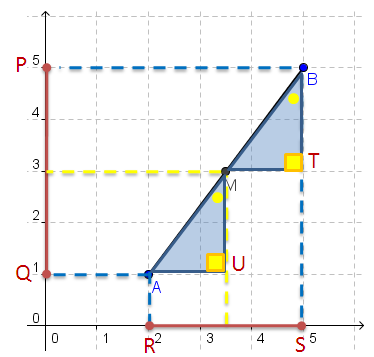 Figure 3 – A non-horizontal segment AB with midpoint M.
If we extend the QA and the horizontal yellow dashed line to the right, we can from two right triangles as shown in Figure 4. From the statements above, we want to show that point M is the midpoint of AB. To show that M is the midpoint of AB, it is sufficient to show that AM is congruent to MB. This leads us to Figure 5, where we label the right angles of the two triangles T and U. We will now show that triangle AUM is congruent to triangle MTB. If so, then we can show that AM is congruent to MB since they are the corresponding sides of the given triangles. Since PB and MT are horizontal segments, we can consider AB as a transversal of parallel segments PB and the segment containing MT. It follows that angle TBM and angle UMA are congruent because they are corresponding angles. It is also clear that BT is congruent to MU, and angle T is congruent to angle U since they are both right angles. Therefore, by the ASA congruence theorem, AUM is congruent to MTB. (For an explanation of parallel lines and transversals, click here). Since corresponding parts of congruent triangles are congruent, AM is congruent to MB. Hence, M is the midpoint of AB. 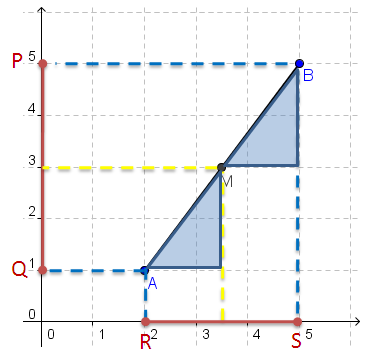 Figure 5 – The triangle produced by extending the horizontal lines passing through the three points. Note that our proof did not talk about coordinates, but the general case. That is, if the coordinates of A are and the coordinates of B are , the coordinates of M is equal to . There are also other ways to show that the midpoint of AB is M. and lies on the midpoint formula. The details of the solutions are left to the reader as an exercise. 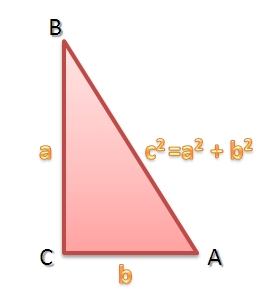 From Figure 3, draw two right triangles with hypotenuse AM and hypotenuse AB and show that AM is half of AB. Using the distance formula, show that the distance between point A and point M is the same as the distance between point M and point B. Show that AM and MB has the same slope. Get the equation of the line containing AB, and substitute the coordinates of M to the equation of line AB.